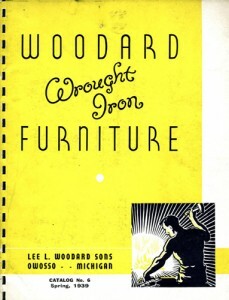 Over the past several years I’ve noticed a growing interest in wrought iron furniture- for both indoor and outdoor use, with people requesting information and images of furniture going back to the 30’s, 40’s, 50’s and 60’s. Is there is a retro revival going on? 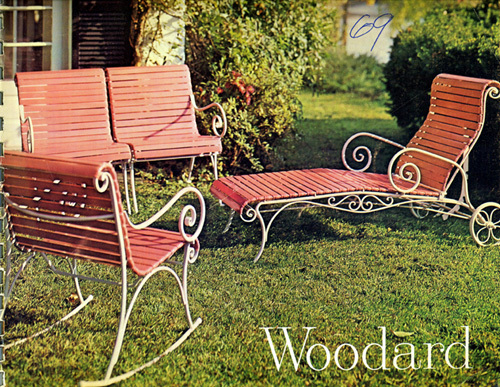 Are people restoring their old patio furniture or finding missing or replacement pieces at auctions and yard sales? I’ve been able to provide images of upholstery fabric, the component pieces of furniture sets, and the original colors of wrought iron furniture to researchers from our collection of trade literature in the Cooper-Hewitt Library. 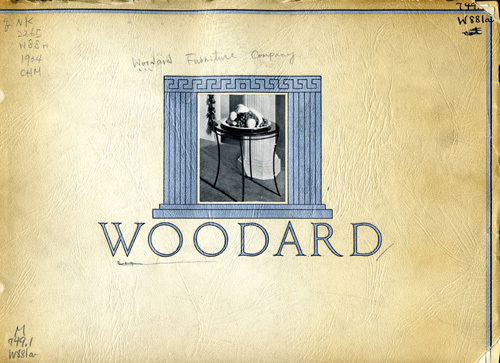 One of the companies that make this furniture is Woodard Furniture of Owosso, Michigan, which has been in operation since 1866. We have many of their trade catalogs, covering several decades of production. In the 19th century they were manufacturing wooden furniture, and became known for their metal construction the 20th and now, 21st century. 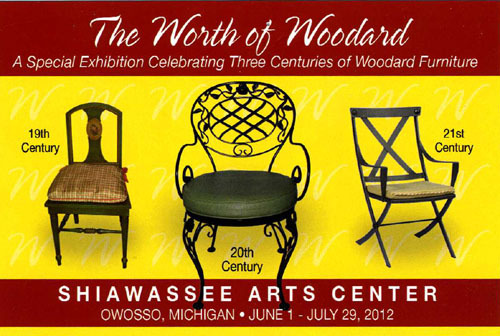 If you’re in the area, the company currently has an exhibition celebrating their history at the Shiawassee Arts Center in Owosso, Michigan. 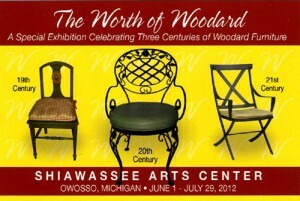 Announcement for “The Worth of Woodard” exhibition, June-July 2012. Next Post Join Us for the Catesby Commemorative Trust Lectures! Well in todays era people taking more interest in luxury furniture. You can only see retro furniture in gov offices. But i personally prefer retro for my house.. I love retro furniture, especially wrought iron ones. 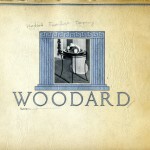 We just found a vintage Woodard set (I’m pretty sure it is one, anyway). This is interesting! I love patio furnitures and i feel we can decorate our home with such lovely furnitures to give it a rustic look.